During a theme session, you have the possibility to participate on our blog. Maybe you write/wrote a bachelor/master thesis or you are working on your PhD and have something interesting to share about a theme session topic. Don’t hesitate to get in contact with us! We do not bite and will help you to write an article. This also includes skype, proofreading and communication with us in general. … because „winter is coming“ seems too odd these years. 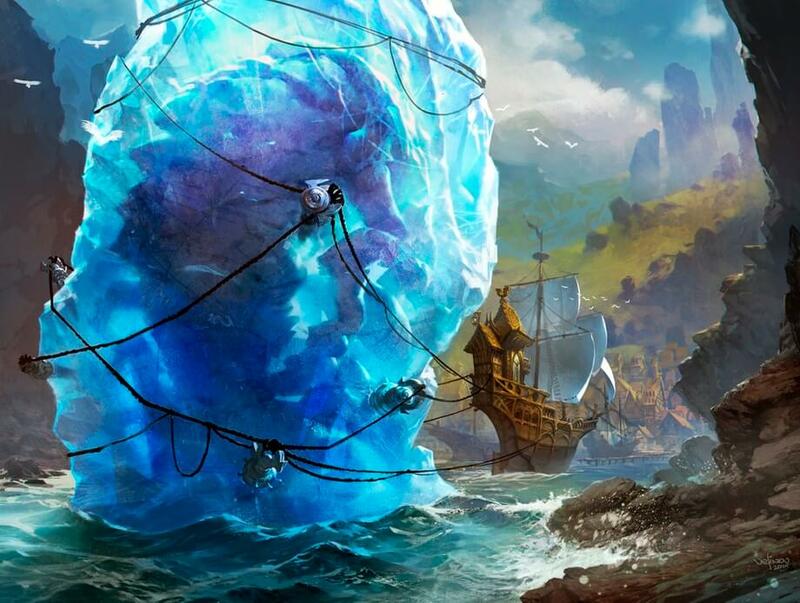 This time it is my turn to give you an introduction to our theme session’s subject: ICE. There are so many interesting phenomenon about water and ice that it would need 4 or 5 articles to loosely include them all. You see, we will write about different environmental circumstances and how this is influencing life, nature and technology. 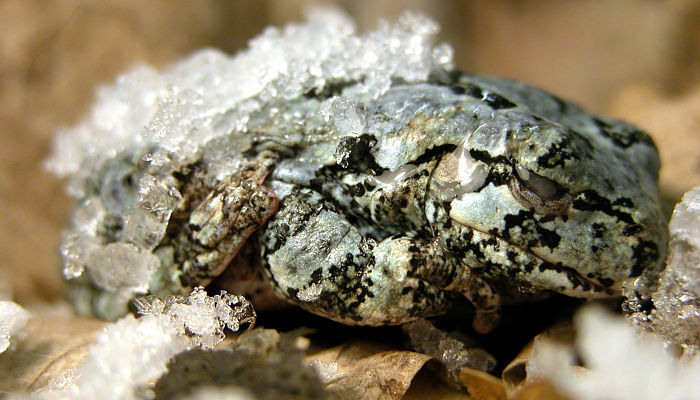 Frozen gray treefrog (Hyla versicolor); Photo by Jan Storey. 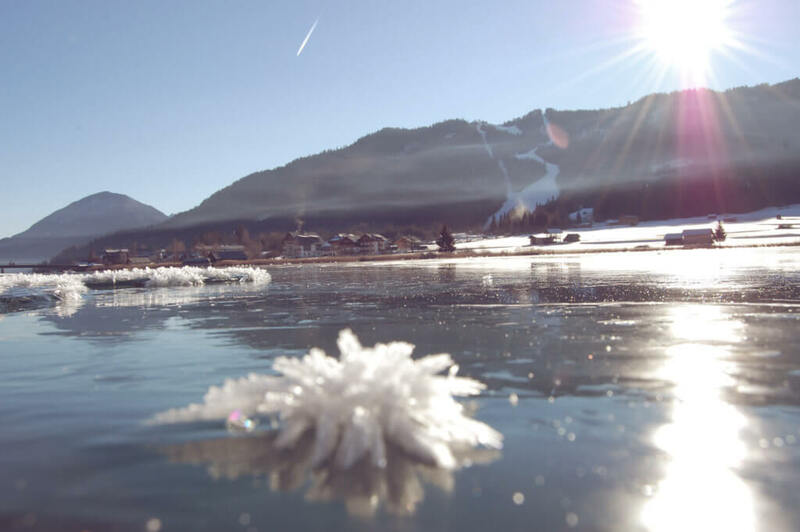 Is ice fatal for the living organisms? Not really. You may think that temperatures below zero are fatal for most of the cold-blooded organisms. This is actually not the case. Some organisms developed a special metabolic process that enables them to survive freezing. More about this topic you can find out in a few weeks when the survival of frogs will be presented as an example.